We have been providing their quality services to both the construction industry and directly to members of the public for over 60 years. We have built our name and reputation as one of the leading choice over this time by providing only the finest quality access hatches, rooflights, kerbs and vented units available on the market. That we offer these high quality, sought after products at trade prices has seen us become one of the leading choice for all your requirements. In our experience we find that frequently many people focus on the style and appearance of rooflights and do not give consideration to the quality or mechanism behind the access hatches for them. This is an approach many come to regret fairly soon, as inferior quality access hatches not designed to stand up to frequent use often become time consuming, high maintenance matters. 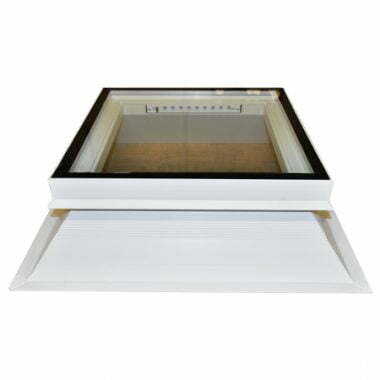 As a standard part of the Trade Range our access hatch rooflight units feature a galvanized steel reinforcement bars fitted inside the lifting frame. This gives considerable strength and durability to the mechanism, and having it installed internally means that it does not detract from or affect the appearance and style. 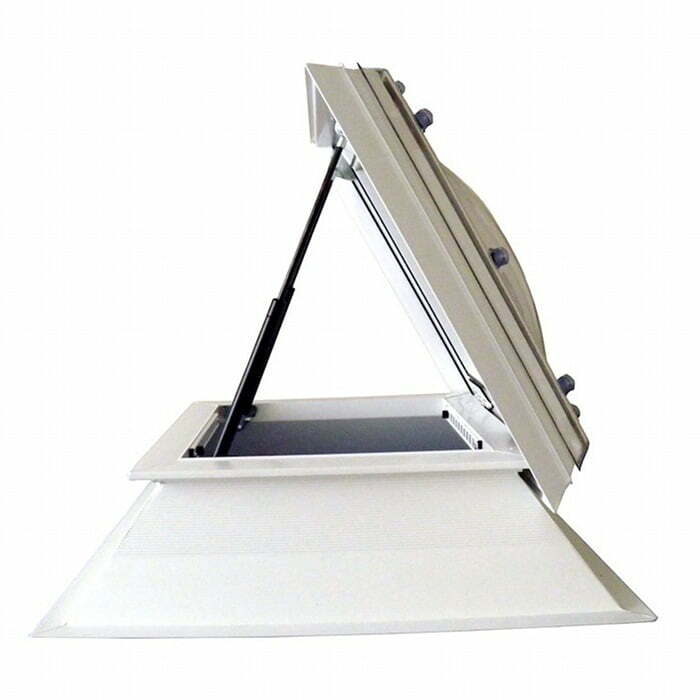 To give an extra level of strength and reassurance, our access hatches, as is the case with all our rooflights, are constructed from unplasticised Polyvinyl Chloride (uPVC). That it is unmodified means you can be assured that they are the strongest and most resilient on the market as they have not been weakened or softened by chemical treatment. Further to this, the access hatches we provide feature opening and closing via gas rams. These gas rams, designed for maximum ergonomic efficiency, allow for the easier operation of opening and closing the hatches, needing considerably less energy and less frequent maintenance than traditional hinged mechanisms. The focus for us at Direct is to always deliver the finest quality access hatches that serve to complement our wide range of roof lighting options. We are also able to provide these products in a number of non-standard shapes and sizes in order to meet any specific, unique requirements you may have. That we build our products in-house, calling on six decades of expertise, gives you the assurance of both the personal and professional touch being generously applied to all products we supply.